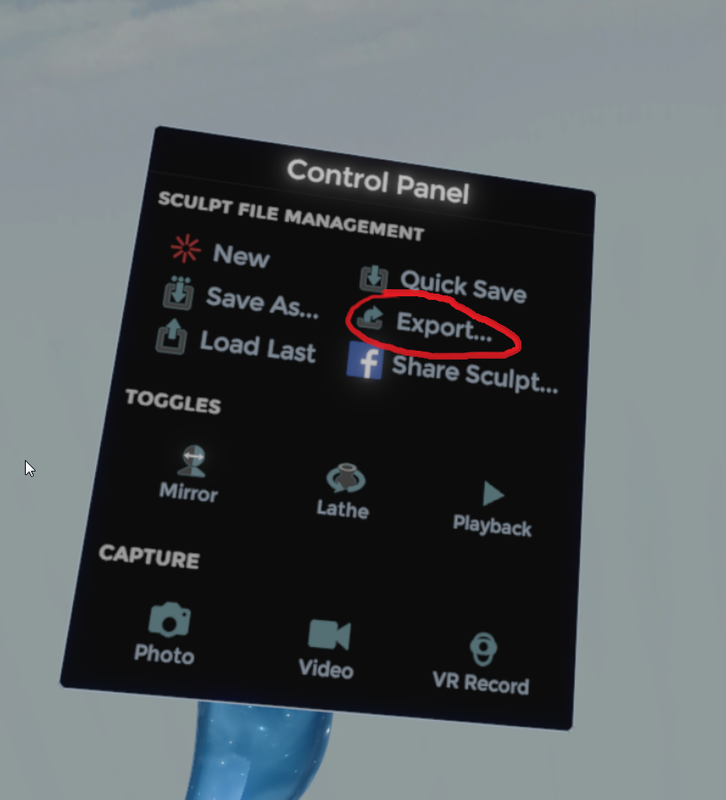 In Oculus Medium, Export your creation by hitting the Y button on the left Touch controller to open up the Control Panel and select Export. Set the parameters of your Export and then hit the Export button at the bottom of the page. 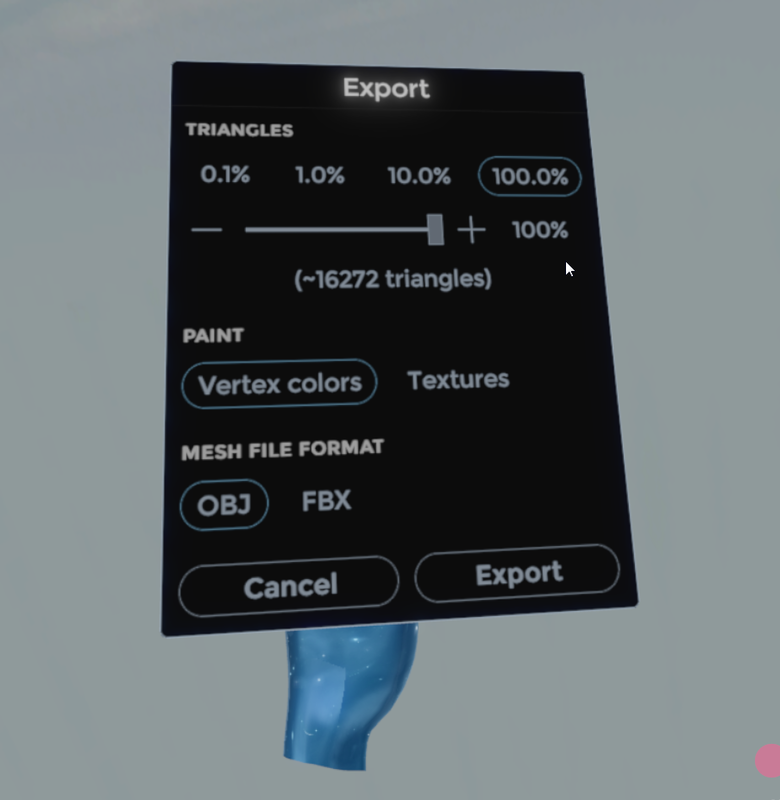 If you are exporting a creation for use in a game engine like Unreal Engine or Unity, you may want to be sure your triangle count is somewhere between 100 to 100,000. In some 3d art asset production pipelines you may actually need to export a “low poly” and a “high poly” model to use for creating detailed lighting and information maps for use in game engines or other 3d renders. If you are exporting a creation for use 3d Printing, then export your creation at 100% for Triangles. This means you will retain the most amount of detail when printing your creation. Email me at jesteininger@gmail.com for more questions or suggestions on how to improve this page. © Copyright 2014 James Steininger. Powered By WordPress.